Within the past week you most likely have seen several commercials for ancestry.com. They have become the most popular place to go for those seeking to know who their fifth great grandfather was. The site is well kept and clean looking. It is easy to navigate and full of information. When looking for someone, you are most likely going to be surprised at how much information is available, or really disappointed at the difficulty encountered when searching. The World Explorer Membership starts at 34.95. A little steep in this economy, but it beats buying a plane ticket to search a townships historical society. The U.S. membership is cheaper and is probably all that is needed for starters (starts at 22.95). This company has everything from books, teaching you to research, to DNA testing. 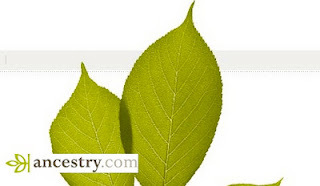 You can even hire a genealogist on ancestry.com. In my own experience, getting a U.S. Discovery membership was worth it. I have found pictures from other members, military records, and much more. The most useful part of the site is meeting long lost cousins that have already completed a certain part of your tree. You can email them and converse about whatever you feel like. For those just wanting a few generations, getting an ancestry.com membership and buying Family Tree Maker from Amazon is all you need.